Would you believe that I’m still a Girl Scout? 🙂 I’m a life time member! My senior year of High School I joined as an “individual” scout because no one else in my troop wanted to sign up. I had only a few things left to do to earn my Gold Award (highest award in GS’ing), so I figured “What the hell” and just did it. Then took a few years “off” because I had no idea that I could still be a Girl Scout once I was out of school. When I moved to Massachusetts I ended up becoming a leader to a Brownie troop – a good friend’s daughter was in the troop, so she and I co-lead them until I had the twins. At that point, I became a life time member. Oh I was also a girl scout my whole child hood. I also became an individual and received my gold award! I was so excited at the time. I wish I had a girl just for this reason – Girl Scouting was my life and it really was a great thing for me. I someday would love to get back involved in it. Good for you for becoming a lifetime member! What a great memory! I was never in Girl Scouts, but both my younger sisters were for a couple years. Hubby was a boyscout so I know he’ll push both kids to get involved in it which should be lots of fun! Aww, you were a cute girl scout! I had no idea you could be a lifetime member. That is so great that you’ll be able to share your love with girl scouts with your daughter in a few years. I was a girl scout. I love the activities we made. You were an adorable girl scout. Thanks so much for playing along with Way Back When-esday, Nancy! 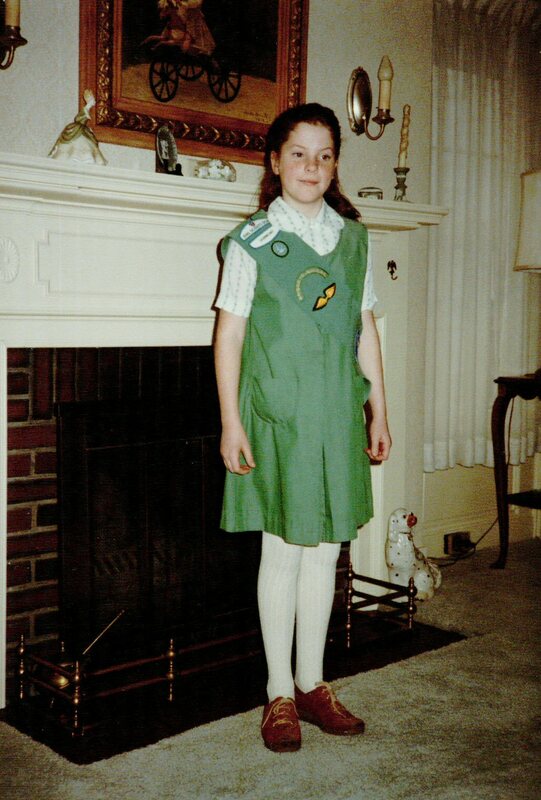 Believe it or not — I was a Girl Scout wa-a-a-y back when, and Grandma Marge was troop leader. And the beat goes on. That so fun! I never was a girl scout, and I kinda feel like I missed out! Both of my daughters were scouts until last year…. How great is that! And the photo. I just love these really way, way backs.